Over the last few years as a person of small stature in the sport, one of the biggest hurdles I’ve faced is finding tactical kit that fits - plate carriers! However whilst in the US last year, I discovered a brand that not only makes high quality, mil-spec kit but has created a carrier to cater for smaller operators! The brand is LBX Tactical and the carrier is the Small Modular Plate Carrier 0300S. Firstly, who are LBX? 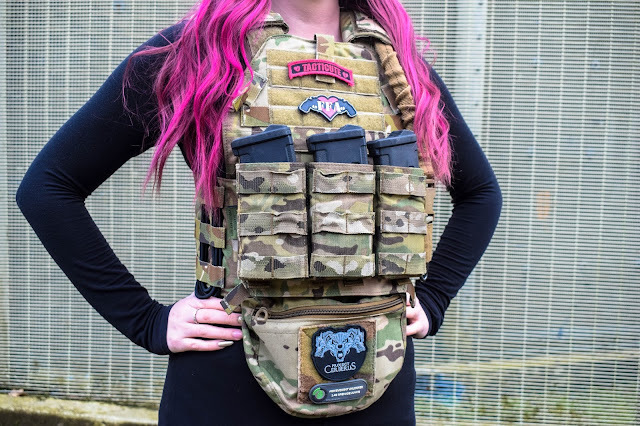 LBX are named after their parent company London Bridge Trading (or LBT as they are more commonly known), who are a Virginia based tactical kit manufacturer. LBX stands for London Bridge "X", the X in the name stands for the unknown variable, and this represents the multitude of possibilities within the tactical world that their kit can be utilised for. LBX was conceived as a tactical brand that would create mil-spec gear that combines modern design and versatility. Whether you're current or ex-military, a PMC or an airsofter like myself, LBX Tactical aims to offer a huge variety of products made for tactical situations that mix and match for endless custom load-out capabilities. Although the 0300S doesn’t come with plates included, it can accommodate 8x10 plates. I have so far chosen to run both of mine without plates so far, but I am thinking of picking up a couple of foam SAPI plates to help keep its shape when not in use. 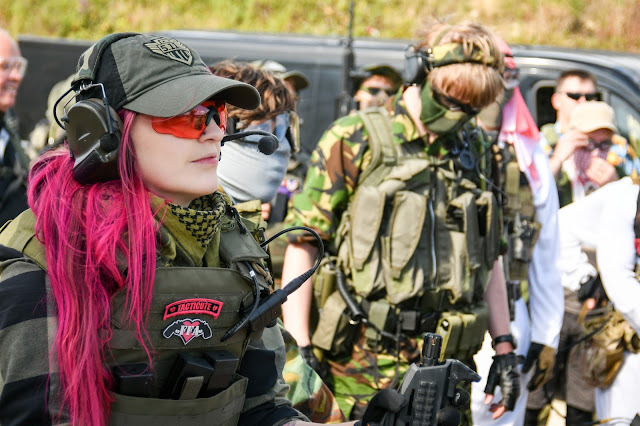 The carrier also has a heavy-duty drag handle which I feel is more applicable for real-world application than airsoft and hydration/comms guides on the front and rear panels to keep your drinking system and communications looking tidy and to prevent any loose cables being snagged during use! The carrier is fully adjustable with the cummerbund being adjustable between 32" and 46", my waist is 29” and it fits pretty snug but still gives me enough wiggle room to wear it over a softshell or hoodie. The cummerbund has Velcro closure so the carrier can be securely fastened. The 0300S also has adjustable shoulder straps so you can adjust where it sits on the torso. 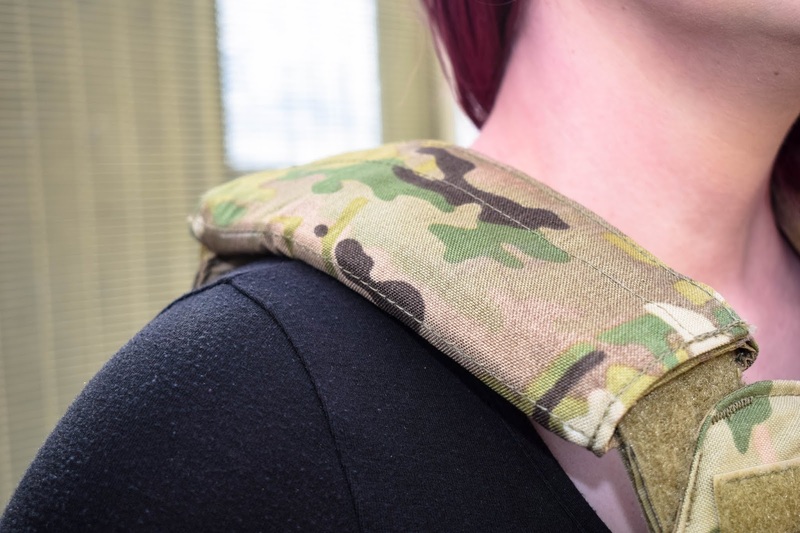 The straps both have padded strap coverings which makes them comfortable to wear for extended periods of time even when the carrier is loaded up with mags and other gear. So it’s adjustable, but how does it fit? This is the main selling point for me, I’ve found very few plate carriers that can comfortably fit my small frame and contour my waist and chest but the 0300S does the job. As I’ve said, the cummerbund fits my waist pretty snug but still leaves me enough room to be worn over a light jacket or hoodie. The overall size looks/feels right on my torso and without plates it fits the contours of my body. Would it fit as well with plates? I think if SAPI training plates were inserted and worn in, the carrier would still fit the contours of my form but it could be a little bulky when they were fresh. 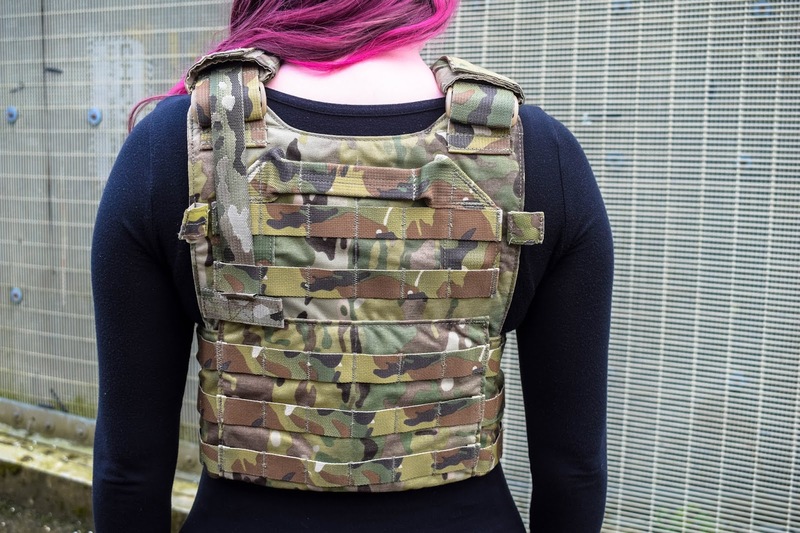 The LBX Small Modular Plate Carrier or 0300S comes in a variety of different camouflages and block colours including MultiCam, MAS Grey, Black, Coyote and Wolf Grey. It retails for $159.95, which is around £114 to us Brits from LBX although it is worth noting that shipping and customs charges are applicable when it reaches the UK so that is another element to think about. What is great is that the camo options are the same price as the block colourways which isn’t always the case with gear manufacturers. The price, in my opinion, is really reasonable for the quality and fit, especially when compared with other manufacturers. My LBX MultiCam 0300S has replaced my Warrior Assault Systems Recon PC in the Shooters Cut as my go-to tan team tactical vest because of how well it fits! So far I’ve customised it with a Warrior Assault Systems One point sling, a Warrior Assault Systems Triple Open Mag Panel and also the Ferro Concepts Dangler pouch. Like I said, I’ll more than likely be adding SAPI training plates to the carrier too in the next coming months! I really like the aesthetic of the carrier and its versatility! Overall, I think LBX have done a fantastic job on the 0300S in regards to the range of colours/camo that it is available in, the quality of the materials used, its overall size and versatility! 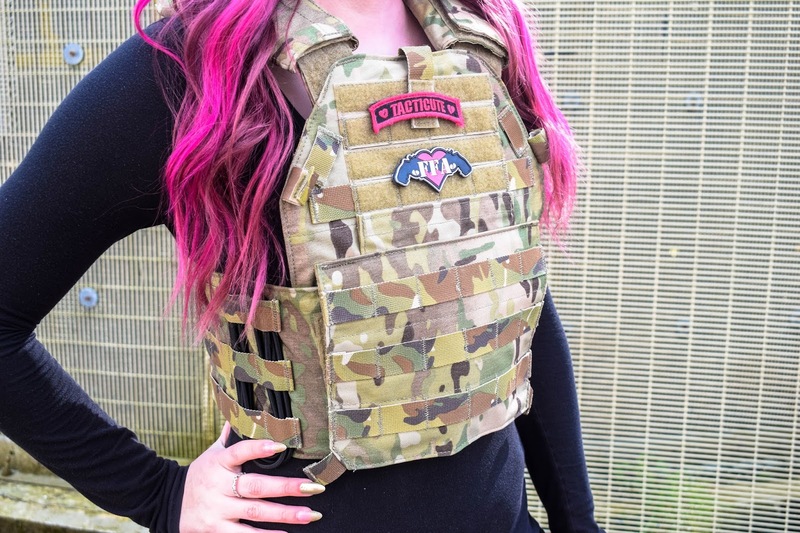 I’m also ecstatic to see brands catering to smaller players as finding well-fitting tactical kit is something that I and others have struggled with. My only complaint with the LBX range is that it can be quite hard or expensive to get a hold of in the UK, I would love to see the LBX brand and products more readily available in the UK for our player base! Hardwick, K. (2018). Small Size...Big Protection. Airsoft Action. 87 (June ), 38-39.